This painting was the result of Bert's visit to Lisbon in April 2018. He participated in a exhibition at Colorido Art Gallery with six works. 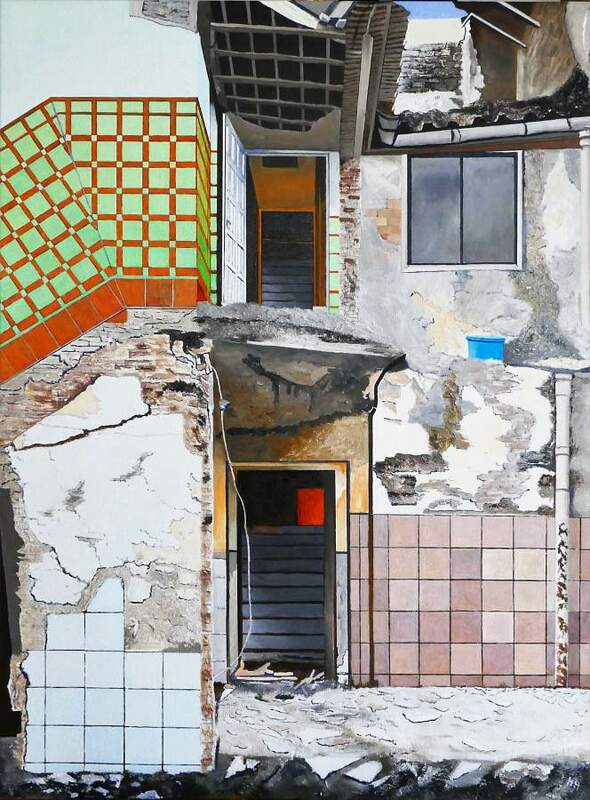 In the surroundings of the gallery Bert discovered these beautiful demolished houses.